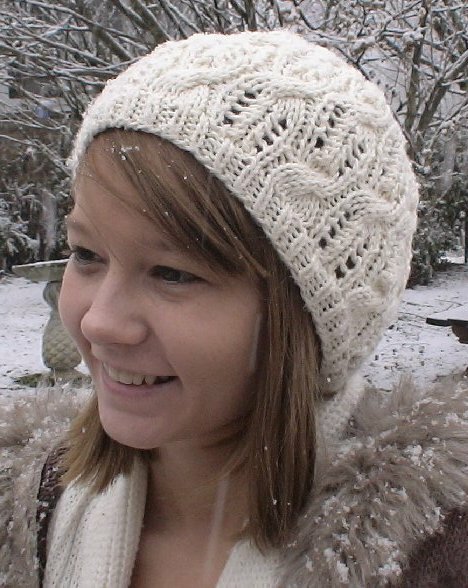 Beautifully soft and simple, cable and lace hat project. 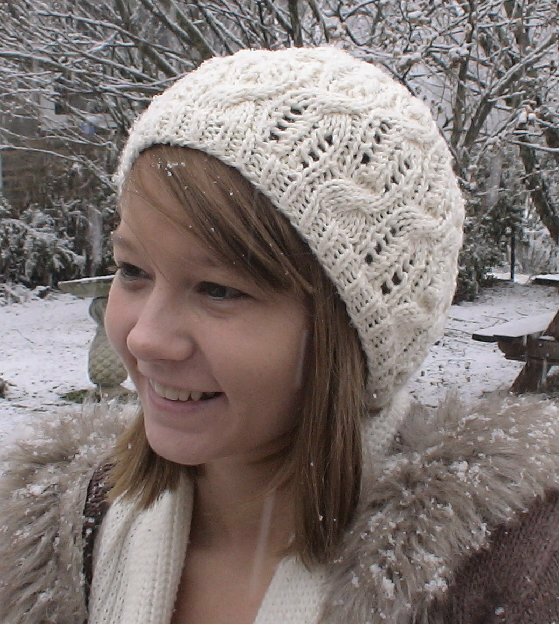 Using light worsted weight yarn, this hat's intricate pattern is deceptively easy. 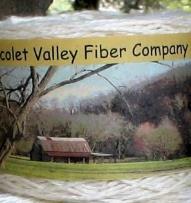 This hat measures 22” around, 8 “ deep, made with Stony Hill’s PVF Southern Bales Organic Cotton Yarn. Want a "slouchy look"? We got that covered in the pattern! Know How: advanced beginner, willing, curious.